I've just learned that Rayne Leafe, the composer of the AmigaONE X1000 boot theme, is raising funds for a feature length documentary about the KYP gumboot dancers, a group of young people from the Kliptown district of Soweto in South Africa. 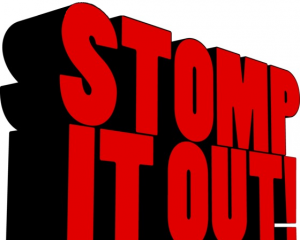 That's a phrase I've heard many times, cough, erm, yes well of course - when referring to many sporting activities. When I played rugby at school (a long time ago - the school did not offer football :-() the gigantic forwards would often tower over me. Fortunately, I was usually an outside-centre or on the right-wing and was given the ball and told to run like h*ll! So when I decided to buy a RadeonHD 6000 series card for my AmigaONE X1000 to try out the new RadeonHD drivers I was amazed at the shear size of some of the modern graphics cards. Many of them are massive beasts that take up two cards slots with an extra large fan to keep the on-board GPU cool and operating efficiently. Although there is plenty of room in my A1-X1000 I did not want to take up two cards slots and began looking for a true one-slot card. Steven Solie came to my rescue and recommended the PowerColor Radeon HD6850 card which also comes in a single slot version. Radeon list the HDx8xx in their enthusiast/high end product category compared to the "mainstream" HD4650 card that came with my A1-X1000. Although there where plenty of 2-slot versions of the card in New Zealand I could not find a supplier of the single slot version. There were plenty of suppliers in Australia but none would ship overseas. I finally resorted to Amazon, and manged to track down a company in the USA which had no problems with shipping to New Zealand. My card arrived safe and sound around one week after I ordered it. Thank you Amazon. Anyway, I installed the HD6850 in the second PCI-E slot alongside my HD4650. Unlike the HD4650 the new card required a separate PSU connection to drive the on-board fan. Fortunately the A1-X1000 is blessed with an excess of PSU connectors. As mentioned in a previous blog, I had already set-up my A1-X1000 as a dual booting system. My first difficulty was deciding what to call the card. 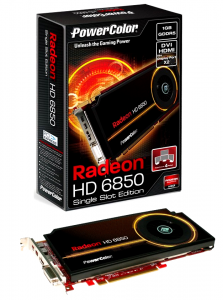 Ranger described it as the Radeon HD 6850 X2 but setting up a monitor driver with that name failed to make it work. However, Screenmode Prefs described it as a Radeon HD 6 and this name appeared to work OK. I powered up the A1-X1000 to the 1920x1080 Workbench screen on the HD4650. I checked ScreenMode prefs and confirmed Screen Modes were available for both cards. I selected Screen mode on the HD6850 and voila...... a black screen. 😉 A quick email to Hans de Ruiter resulted in him emailing me an experimental driver to test the card. I installed the new driver and..........success. I was able to boot to WB on the HD6850 and in a dual boot configuration with the HD4650. While the Northern hemisphere is beginning to enjoy Summer, here in New Zealand it's mid winter. Not that you really notice it in Wellington. The cool bright Winter days are more like good Spring days in the North East of England. Why am I mentioning the weather you may ask? Good question. Due to the Summer shutdown in Germany the deadline for the submission of my next Classic Reflections article for Amiga Future magazine has been brought forward one month. Eeeek!! That means I have 3 days to finish the article. Now, what did happen to "Digita International"? Anyone who has been following my blog knows that recently I’ve been very busy writing the GNU/Linux installation guide for the AmigaOne X1000. Thanks to the dedication of several “A1-X1000 “First Contact” owners and in particular Irishman Pat Wall, the guide has had several re-writes to cope with the additional PowerPC Linux distributions that the AmigaONE X1000 can now support. Thanks Pat! (I think ;-)). Version 2.3 of the GNU/Linux Installation guide will be available for registered AmigaONE X1000 owners to download in the next few days. At the time of writing, up to six Linux distributions can be installed on the A1-X1000 along with AmigaOS. 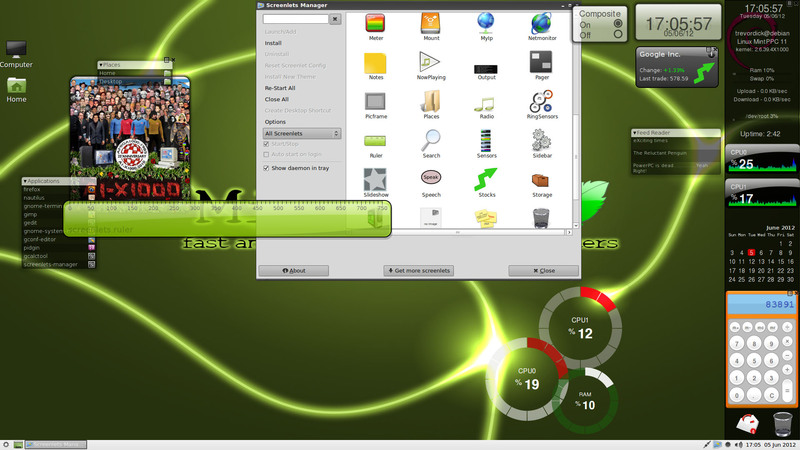 This includes MintPPC, Ubuntu and Debian Wheezy which all support 3D hardware accelerated graphic. It’s only when you look at the massive catalogue of free productivity software, utilities and games that Linux has that you realise the challenge facing the Amiga community with its comparatively meagre resources. It’s amazing what our community has and continues to achieve. 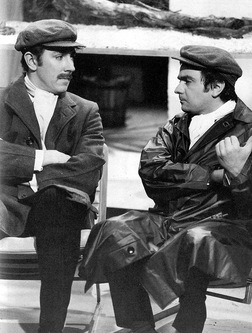 Long may it contine. Several months ago I purchased a used 17” 1.67Ghz Mac PowerBook off eBay in preparation for the release of MorphOS 3.0 which promised support for the Mac’s discontinued and abandoned G4PowerPC laptops. Unfortunately when the package eventually arrived in New Zealand it was not in the best of shapes. It had been damaged in transit due to poor packaging and one corner was badly dented. Luckily the screen was not damaged and the machine still booted so I had a chance to try out the MacOS X. 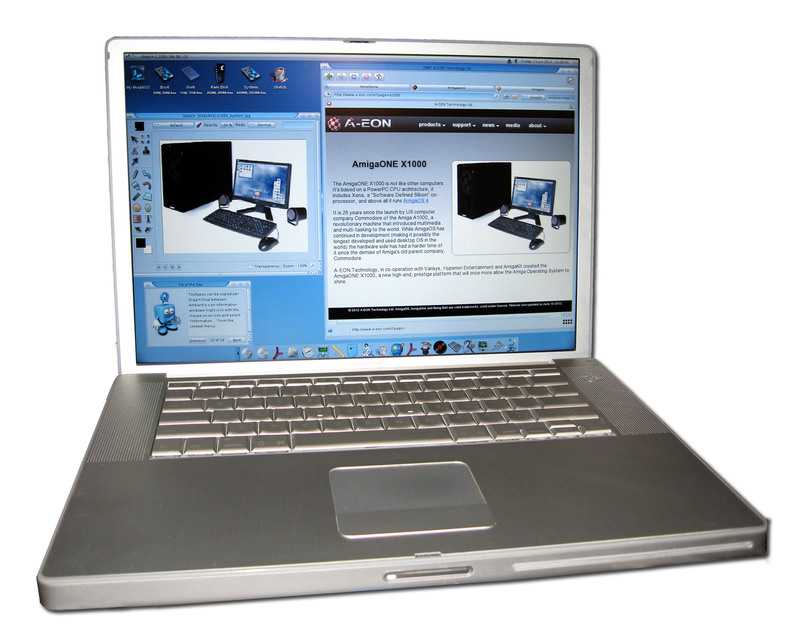 It was also a good opportunity to make a comparative study of the 1.67GHz MacOS PowerBook in everyday use against the 1.8 GHz dual Core AmigaONE X1000 running a combination of AmigaOS 4 and various Linux distributions. I may be biased, OK I admit it I am, but I was pleasantly surprised by the results. Contrary to all the talk about how wonderful Mac PowerBooks are, frankly I was a little disappointed. I installed Firefox on the PowerBook and made a direct comparison against Firefox running under Linux. Flash is not supported by the MacOS or Linux but it was good to see the A1-X1000 outperform the PowerBook when running Youtube videos. OK, perhaps not the most objective of tests, but this is everyday use remember, not some arbitrary benchmark. 😉 I also found that the MacOS wanted total control over my use of the PowerBook. I suppose that is part of its mass market security and appeal but I found it very restrictive never-the-less. What else can I say? Compared to the Linux distributions that I had been working on, MOS3.0 is a very compact, lean and minimalist. Unlike Linux, there is not a lot of additional software or applications included as standard. Of course there are plenty of applications you can download from Aminet or the MorphOS Software repositories but if you are a little lazy like me correction, I mean very busy, help is just around the corner in the shape Pack Ultimate 3.0 created by French MOS enthusiast, Papiosaur. (Why is it the French always say things backwards? Just joking – honest ;-)) Pack Ultimate is a pre-configured selection of programs and utilities which have been combined into one package for a convenient one-time installation on your MorphOS system. In some ways it’s similar to "AmiKit" or "Icaros Desktop" in that it adds many of free Amiga programs and utilities you might want to install. Pack Ultimate 3.0 is being specially configured for MOS3.0 and according to Papiosaur should be available soon. Although OS4 does come bundled with a number of optional extras programs and utilities I wish there was a similar distribution available for AmigaOS 4. Any volunteers? What about MOS3.0 though? It certainly flies on the Mac PowerBook and make the MacOS X look a little sluggish by comparison. It just needs the wifi drivers to make the PowerBook really useful as an “Amiga” Laptop. One thing to mention though, PowerBooks are very heavy compared to modern Laptops and Netbooks! 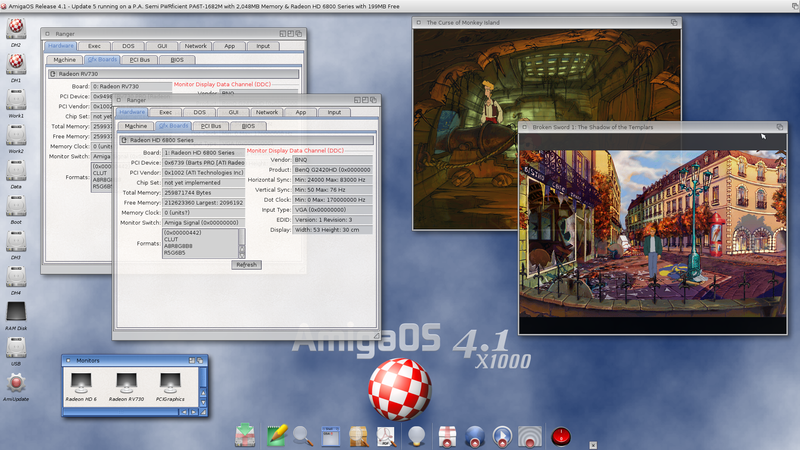 A lot of work has been going on behind the scenes to bring AmigaOS 4’s graphics drivers up to date and more news will be released in the near future. While the AmigaOS developers work towards the release of AmigaOS4.2, which includes support for SMP and Gallium 3D I thought it would be good to test my AmigaONE X1000 in a dual graphic card configuration. 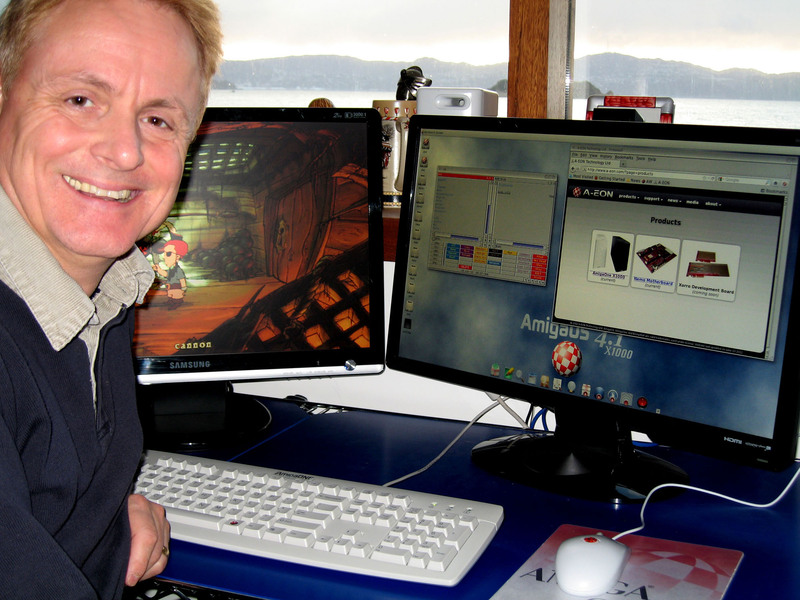 We recently commissioned the Frieden’s to produce a firmware update for the AmigaONE X1000. This added a new early boot screen graphic and fixed a minor glitch which affected the start screen on older pci graphics card. It’s always a scary process installing new firmware on any hardware. At least the A1-X1000 has a backup copy of the firmware stored onboard so you can always restore the older should you mesh up the installation! 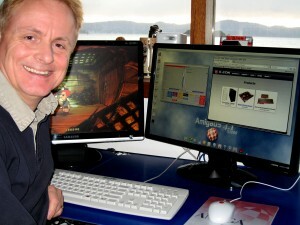 After I installed the new firmware I contacted AmigaOS 4 graphics guru Hans deRuiter, who is also a native of New Zealand, to discuss a dual graphics card installation in the AmigaONE X1000 under AmigaOS 4. “Easy as”, said Hans (that’s how we talk in New Zealand) and he provided a simple set of instructions to allow me to set up a dual graphic card system. My A1-X1000 has a RadeonHD 4650 card which is also supplied with the “First Contact” systems. To this I added a Radeon 9250 PCI card and connected it to a second Monitor. Using Hans’ instructions I was able to easily create the additional Monitor drivers needed to control the second monitor and within minutes I had a dual A1-X1000 graphics card system up and running. I'm now able to benefit from the RadeonHD's hardware accelerated 2D graphics on one monitor and Radeon 9250's 3D graphics on the second monitor. I could have done with this dual monitor set up when I was writing technical manuals on my A4000 using ProPage and ProDraw many years OK. I was recently asked for an interview by the good folks at "Amiga Mania", an excellent high quality Amiga Webzine produced by Hungarian Amiga enthusiasts. Please check out the next edition of "Amiga Mania" for my answers to their "hard hitting" questions. Now if only I could read Hungarian!